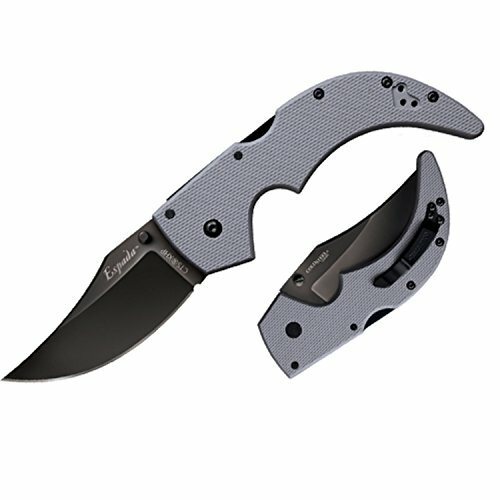 The new all G-10 models are almost identical where it really counts and sell for a fraction of the cost of their much more expensive brothers. Made from vacuum heat-treated and sub-zero quenched Japanese 8A stainless steel and hollow ground to a thin, razor sharp edge, they will cleave through just about any obstacle or target in their path. Made practical and tactical they offer non-reflective bead blasted blades, non slip high friction G-10 handles, abbreviated steel liners and our incomparable Tri-Ad Lock. Designed by Andrew Demko, the Tri-Ad is unsurpassed in resisting positive pressure from the edge (cutting, slashing and chopping), negative pressure from the point (piercing, digging and chiseling), and impact pressure (whacks on the back of the spine of the blade) by diverting these forces first to its unique stop pin and then throughout the entire handle frame. Get 90% of the strength with no sacrifice in cutting power and save big bucks. At first thought, carrying a pocket sword as big and heavy as the Espada may seem impractical. However, after much experimentation, this is not the case. Even the biggest model can be carried discreetly and unobtrusively in the front pocket of most pants and clipped to the waistband and covered by a bloused shirt or sweater. Made from vacuum heat-treated and sub-zero quenched Japanese 8A stainless steel and hollow ground to a thin, razor sharp edge. Made practical and tactical they offer non-reflective bead blasted blades, non slip G-10 handles, abbreviated steel liners and Tri-Ad Lock. The TRI-AD is unsurpassed in resisting positive pressure from the edge, negative pressure from the point, and impact pressure. Get 90% of the strength with no sacrifice in cutting power and save big bucks. Can be carried discreetly and unobtrusively in the front pocket of most pants.